Somewhere outside of space and time, one version of the A.I. 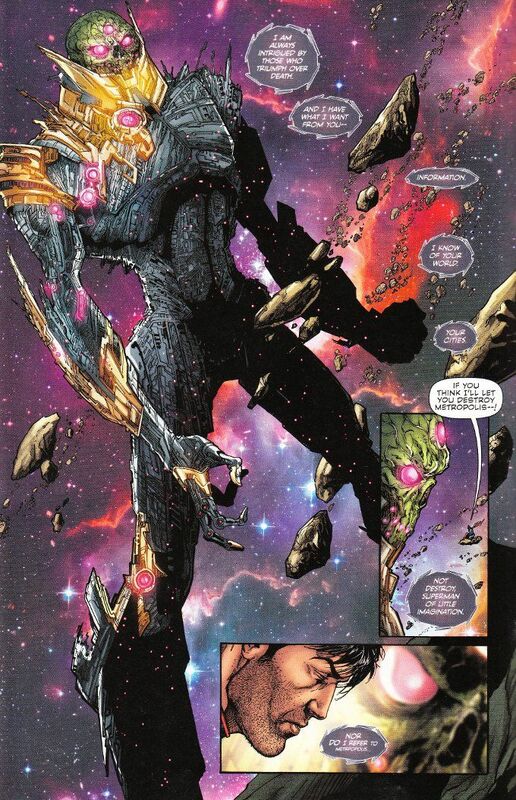 Brainiac has grown so advanced as to become god-like! It is no longer enough for it to catalog whole worlds before destroying them, while saving one city for analysis. Now Brainiac has begun destroying whole timelines, preserving one city from each. But the time for study is over and soon these divergent cities shall be pitted against one another in battle for the right to exist! As far as set-ups for a Crisis event go, Convergence is hardly original. 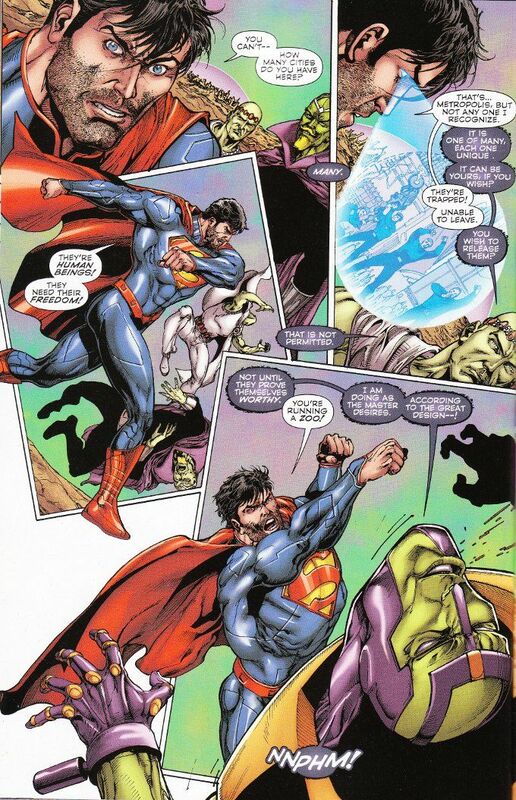 When you get right down to it, most of this issue is just an excuse for yet another Superman vs. Braniac(s) fight. That being said, it's a pretty good fight as far as these things go and the novelty of a completely confused and outclassed Superman is enough of a change of pace to hold the reader's interest. The artwork proves more imaginative than the script. Ethan Van Sciver performs at his usual level of high quality. And colorist Marcelo Maiolo makes everything look bright and powerful. Convergence #0 isn't a bad comic but neither is it as epic as a reality-spanning cosmic tale should be. Lackluster, I think, is the word to describe it. All in all, I think I'll skip the main Convergence book and just pick-up those books featuring my favorite characters or writers I'm a fan of.